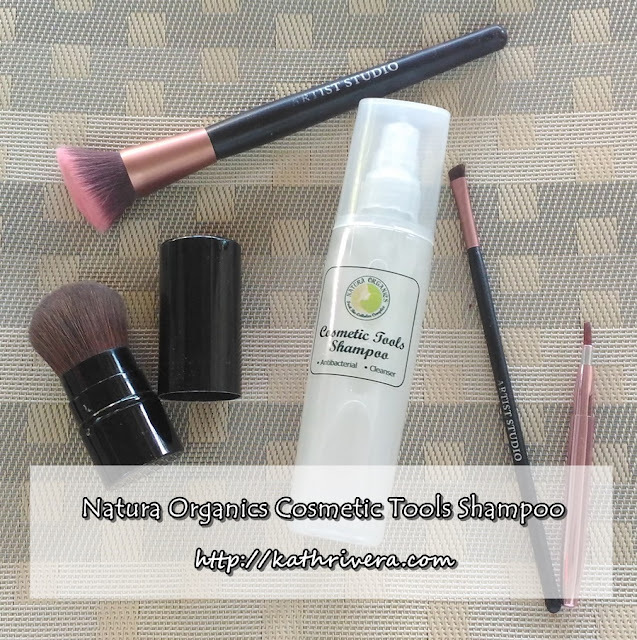 Sharing with you a quick review of Natura Organics Cosmetic Tools Shampoo that I've been using for months now to clean my makeup brushes. I only use three brushes to date that's why cleaning is easy as long as I have a buddy that will make the bristles squeaky clean in just 1-2-3! Natura Organics Cosmetic Tools Shampoo is an antibacterial cleanser that washes away makeup residue. 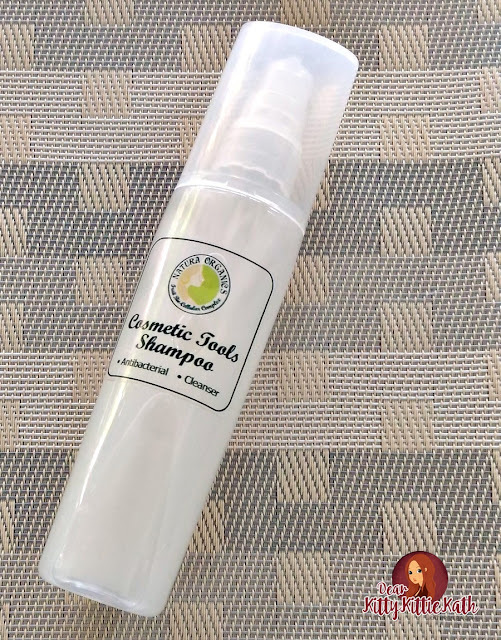 Made from natural and organic ingredients, this shampoo cleans and deodorizes the brushes without damaging the bristles. 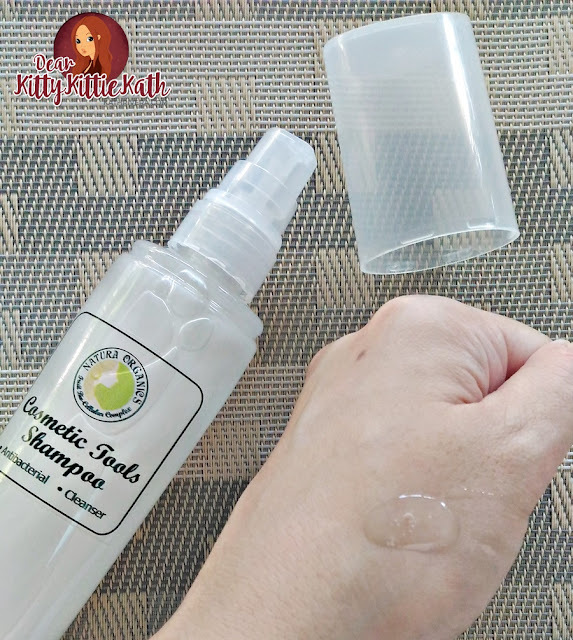 instructions for use: I dilute 3 pumps of this cosmetic tools shampoo in 6 ml of water since I'm only cleaning 2 brushes during bath time. Transparent bottle for the win! 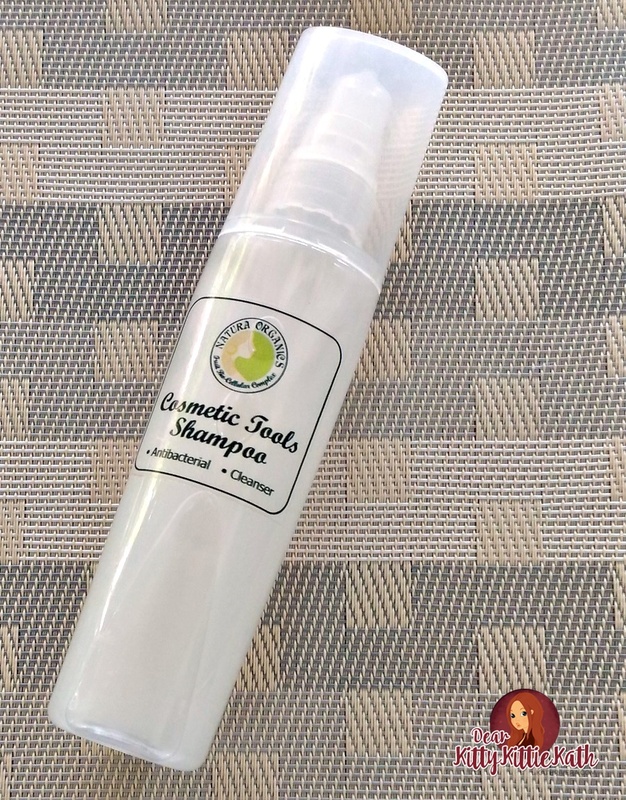 The price is affordable for a 150 ml product. The bottle's shape is slender and it has a pump that dispenses the right amount of product. The scent is not overpowering. I can't tell the exact scent but for me it's fresh. 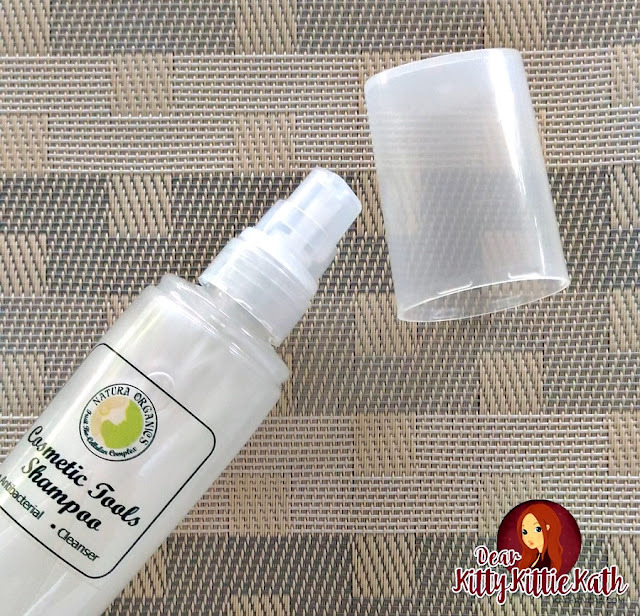 It's antibacterial and best for deep cleaning of brushes. Made my brushes soft and squeaky clean after use. Do you use a brush cleanser in cleaning your cosmetic tools? Thank you so much for visiting my blog. Let me know if you have tried this na.